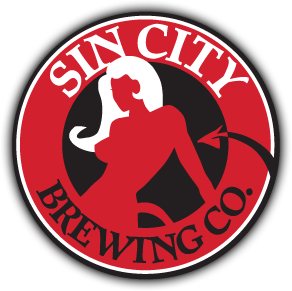 LAS VEGAS – Las Vegas beer lovers can rejoice because Sin City Brewing Co. has released a new craft beer, Sin City Spring Bock. This German-style beer is the 2016 spring edition in Sin City’s seasonal beer program. Spring Bock is on tap at the brewery’s largest location on Las Vegas Boulevard at Harmon Corner and at its bar in the Grand Canal Shoppes at The Venetian. Sin City’s Spring Bock is a stronger beer at 7.5 percent ABV. The recipe is able to take the malty sweetness of the brew and balance out its full body with a hint of the traditional noble hop. Bock-style beers can be traced all the way back to the medieval days when it was made for monasteries during times of fasting. Throughout history the bock has been a symbol of better times to come and moving away from winter, so cheers to new times, a new season and a new delicious craft beer! Sin City Brewing Co. is a Las Vegas-based craft brewery launched by beer expert Richard Johnson in 2003. Produced to satisfy both the savvy beer drinker and those with a preference for a traditional domestic-style brew, Sin City beers accentuate the indulgent nature of Las Vegas. The beers are brewed in small batches (100 kegs at a time) using premium raw materials and traditional methods that differentiates Sin City beers from the big guys. Sin City beers are brewed and distributed exclusively in Las Vegas. Sin City Brewing Co. also features a popular retail line that is available through its online store and at its branded bars in Miracle Mile Shops, The Grand Canal Shoppes at The Venetian and Harmon Corner. For more information, visit www.sincitybeer.com, follow @sincitybeer on Twitter and check-in on Yelp!